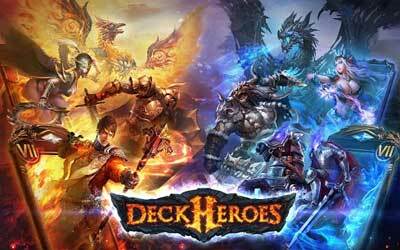 For trading card gamers, Deck Heroes APK 10.4.3 is addictive, fun, and awesome. This is a fantasy-themed trading card game for your Android device with enjoyable experience you can feel, even if you’re not too familiar with this kind of genre. The story begins as you take part in the world split into four factions: Faen the forest dwellers, Humans the knights, Neanders the wild beasts, and Mortii the dark beings. Choose the faction of your choice and make a deck with different styles, strength, and weakness. Unlike the other trading card games available for Android device, Deck Heroes is more about interaction and strategy. Despite that, the gameplay is much simpler than the other games. The Campaign mode will tackle you into the story of the World, as you build your deck and defeat many opponents to strengthen your deck even further. New Creatures added: Hanzo, Napoleon, Sigurd, Forest Sage, Troll Chieftain, Osiris. New Hero added: Warbringer.